We’re pleased to announce the newest midrange disc in our lineup, the Ra. The stock edition Ra is now available in C-Blend and Metal Flake C-Blend plastic, and to celebrate, we’ve created quite the deal for you! 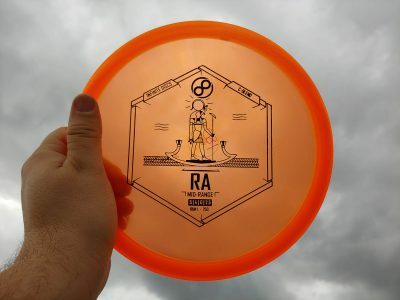 But first, let’s talk about the Ra: The Infinite Discs Ra is a moderately overstable midrange with a very flat top and comfortable, beaded rim. It feels and flies perfectly for both backhand and forehand players. It is difficult to find a midrange that is so easy to control and so precise under multiple course conditions. This weekend (4/5/19 – 4/8/19) we’re putting the entire Infinite Discs lineup on sale. This includes the new Ra, allowing you to try it for a discounted price. But wait, there’s more! If you use the discount code RARARA you’ll get an additional 10% off of your Ra! If you need a new mid to try, today is the day!